Obituary for Rose Maria Watkins | Henry Funeral Home, P.A. 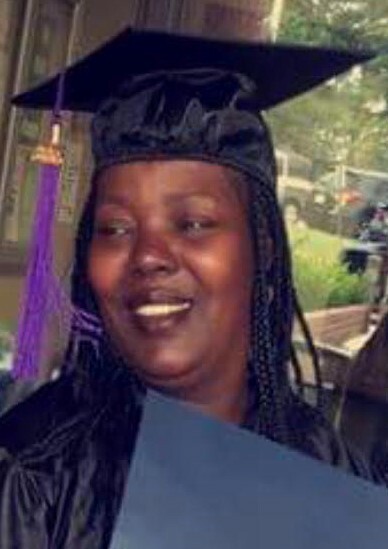 Rose Maria Watkins 53, of Cambridge, MD, departed this life Thursday, March 28, 2019 at Dorchester General Hospital here in Cambridge, MD. She was born March 5, 1966, in Baltimore, MD to Mary Cephas-Brinkley of Cambridge, MD and Henry John Watkins (Charleston) of Baltimore, MD. Rose graduated from Cambridge South Dorchester High School in the Class of 1984. She held various jobs during her life-time but her passion was in the medical field. She was certified as a CAN, CMT, and worked as a Home Health Care Provider. She was employed with Horizon Health Care prior to her death. She leaves to mourn her passing (two) sons, KevMonta Stanley and KevRontea Stanley (both of Cambridge); two grandchildren, Admyre Brown (Princess Anne, MD) and Kyng Stanley (Cambridge, MD); sisters, Lisa Jones and Melvondia Wilson (both of Cambridge, MD), Rosalyn K. Sampson (Anthony), Mardela Springs, MD, Celeste Watkins and Tracy Talley (both of Baltimore, MD); brothers, Melvin Wilson (Cambridge, MD) and John Watkins (Baltimore, MD); nieces, Mikeila Jones (Salisbury, MD), Shay Prattis (Easton, MD), Rayquinta Stanley, Ronquita Johnson, Ronquetta Johnson and Ronquisha Johnson (all of Cambridge, MD); nephews, Tirado McGriff and Dontrell Perry (both of Cambridge, MD); a very special aunt, Helen Cephas, whom she took care of; four great nieces; seven great nephews and a host of stepbrothers and sisters (all of Baltimore, Md), aunt, uncles and cousins. She was preceded in death by her maternal grandmother, Martha Emory Stanley, paternal grandmother, Corrine Branch and a niece, Roshina Beasley.